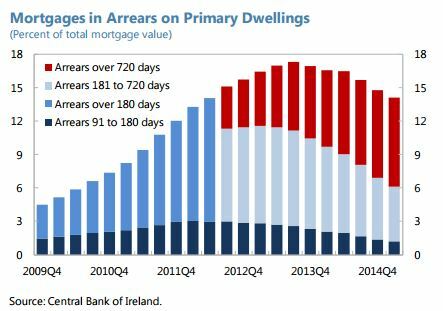 “The share of mortgages on primary dwellings in arrears continues to decline, except for arrears over 720 days. 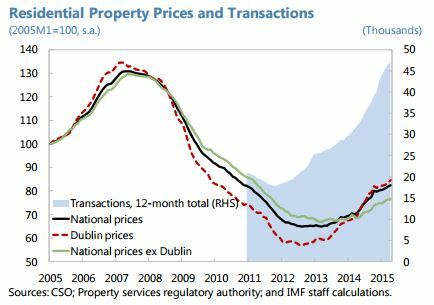 The residential property market is reviving, particularly in Dublin, with some price deceleration in recent months. 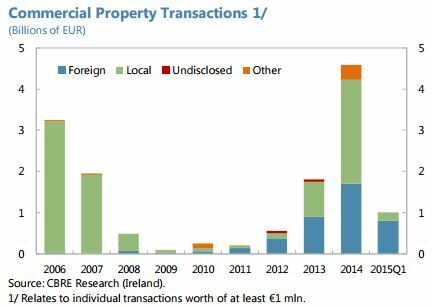 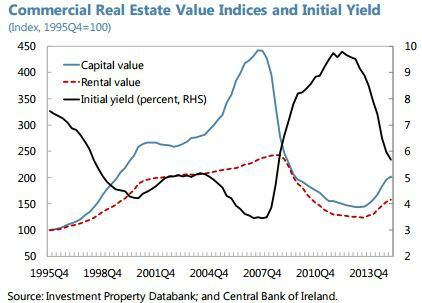 Commercial property prices and rents rose sharply from a low base in 2014 and transactions rose strongly in 2014 with over one-third by non-residents, and further inflows in Q1,” notes the latest IMF report on Ireland.